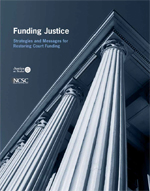 In the Recent Justice at Stake-NCSC publication, “Funding Justice” the authors make the following point in the Executive Summary: Americans need to know more about how courts work and why underfunding them harms taxpayers and the economy. Judges need to learn how to be more engaged in their communities with the right informing messages. 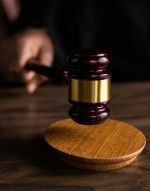 Your work should include finding judges or judicial programs that have proven to be effective. You should put together a list of them and describe them. Places to look: Google National Association of Women Judges “ Informed Voters Project (has the backing of Sandra Day O’Connor) See also how judges can improve their relationship with jurors (see: The Jury and Democracy by John Gastil and others) Check out the information available on the NCSC website and AJS’s www.ajs.org/public-education. 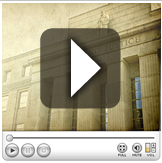 As summer ends and the flu season begins, the NCSC provides a streaming media version of our new 15 minute DVD: COOP Planning: Maintaining the Rule of Law – Planning within an All-Hazards Context. The American Gavel Award for Distinguished Reporting about the Judiciary was created in 2009 to recognize the highest standards of reporting about courts and the justice system. The award recognizes legal journalism at its best, and highlights the importance of journalism in educating the public about the legal system and the fundamental principles and values upon which that system is based. Learn more about Justice Sandra Day O'Connor's initiative www.ourcourts.org that deals with teaching youth civics. On April 10, 2007, the DeKalb County Board of Commissioners voted unanimously to name the new $37.5 million Juvenile Court, the “Gregory A. Adams Juvenile Justice Center”, thereby making Gregory A. Adams the first judge to have a building named in his honor since DeKalb County was founded in 1822. The Gregory A. Adams Juvenile Justice Center was dedicated on June 22, 2007. A Nobel Peace Prize winner. A Supreme Court justice from St. Paul. Another Supreme Court justice from St. Paul. Al Capone’s lawyer. And 96 others. All attorneys. All from Minnesota.